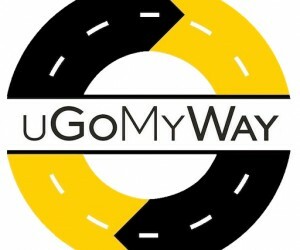 South African carpooling app, uGoMyWay today released the results of its pilot ‘corporate carpooling project’. Conducted in association with Accelerate Cape Town, over a period of two and a half months, the pilot included eight of the Mother City’s top-tier corporate companies and their employees, and confirms the viability of a sustained ride-share/carpooling programme for Africa’s most traffic congested city* – and beyond. During the period of the pilot, downloads of the app increased by 120% with 89% of users finding a match. Impressively, over 90% of these matches are classified as ‘excellent’, where deviation from the original journey is under 2.5 km or five minutes and 50% of users had more than one excellent match. This clearly indicates that there are enough people in the uGoMyWay carpooling ecosystem, which considering the app was only officially launched in February 2017 is also a notable achievement.Chris Megan, CEO of uGoMyWay is delighted with the results saying: “The tech works! We were not expecting such an exceptional match outcome at this stage. This is an excellent sign that there is indeed a healthy appetite for carpooling and it bodes well for the future of carpooling as a viable means of transportation to and from work and other frequent car trips.”uGoMyWay uses two factors to rank and gauge the quality of a match. The two-factor algorithm recognises the financial benefit of maximising the shared journey while minimising inconvenience or deviation from the original journey. · The distribution was “normal” with 50% clustered between 15 km and 25 km. On an average journey of 20.1 km, it was found that an excellent match (shared journey) of over 80% is where the shared journey exceeds 16 km and, an excellent match (convenience) of over 80% is where deviation from original journey is less than 5 km.Justin Smith Group Head of Sustainability at Woolworths, one of the last corporates to host a workshop in the pilot period, but whose employees have eagerly embraced the opportunity to do something constructive about the city’s congestion problem, remarked: “we’re keen to support the development of sustainable transport options in the city that will help reduce congestion and result in environmental benefits.Throughout the duration of the pilot the increase in the number of matches and the quality of matches accelerated exponentially. Quality of match translates directly into convenience and will continue to improve as more large employers in Cape Town join the carpool initiative. Echoing this, Ryan Ravens, CEO of Accelerate Cape Town confirmed: “The pilot was successful in focusing attention and raising awareness of the benefits of carpooling in Cape Town. 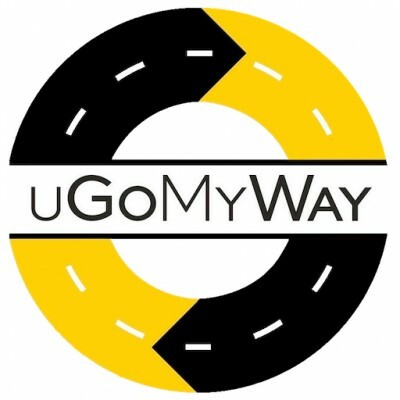 That being said, we are rolling out the uGoMyWay solution to all Accelerate Cape Town members and encourage all businesses whether in the CBD or in other high traffic corridors, to consider adopting carpooling as a valuable mechanism for effecting much-needed behavioural change amongst staff. To assist the uptake in carpooling and further improve the ‘convenience’ factor, uGoMyWay has also made major improvements to its match ability communications. uGoMyWay now sends its user pool notifications of good matches (more than 80% quality) when new journeys are created or existing journeys are amended. In addition, where Chat / Push notifications have not been delivered, due to an older version, notification preferences or uninstallation, the platform will revert to notification by email. Notifications of Good / Excellent matches, will also take place by email. With these improved user engagement techniques, a marked increase of 260% in the number of daily active users occurred, based on the detection of 680 new high quality matches when the re-engagement upgrades to the platform were made – this was over a period of less than 24 hours.Even better and why we might all be carpooling soon, since green lighting the full programme, Ravens and his team are hosting workshops with uGoMyWay at corporates in the Northern transport corridor and other high traffic areas across Cape Town. Already the signs are encouraging with one workshop attendee at a recent event obtaining 28 ‘excellent’ matches after downloading the app and offering a ride - an 82% ‘match with a 29 km shared journey on a driver journey of 31.2 km with a deviation of 5.7 km.Just think - if, of the approximately 260 000 vehicles that enter the Cape Town CBD on a daily basis, the overwhelming majority of which are single occupancy, half of those took one person to work, there would be half the amount of cars on the road, taking half the amount of time to get to and from a place of work…that means more time to do the things we want to do. While this pilot was Cape Town centric, the same principles apply in every high traffic area across South Africa, which is why uGoMyWay has also seen an incremental uptake in downloads of the Android and iOS app in cities such as Johannesburg and Durban.Traffic congestion continues to be a highly charged topic of conversation – on arrival at the office, around the dinner table and on the airwaves. Many solutions have been proffered such as flexi-time and more work from home opportunities, but many people need to be at their place of work. In the absence of more roads and more and affordable public transport, carpooling is without doubt the best workable solution. So, the question remains – why are you not carpooling? Be part of the solution, not the problem.